The purple cat’s eye manicure is like a purple night sky, and the white little stars are flashing. The brown cat’s eye manicure is paired with the burgundy manicure, which is perfect for color matching and has a bright feeling. As the clear night sky collides with thunderstorms, the collision of colors is very distinctive. Cat’s Eye Manicure Picture The red cat’s eye manicure will be a little more radiant than the pure red manicure, with lace flowers, very gentle. 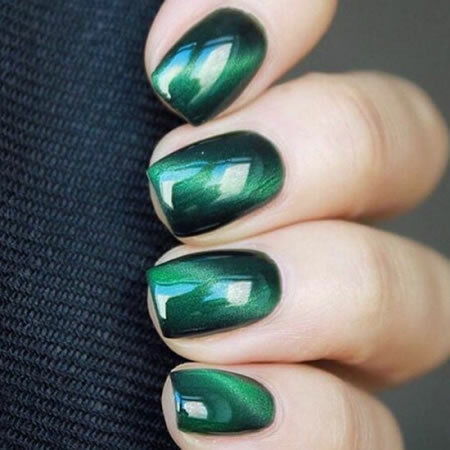 This manicure is remembered at first glance, a very strange match, but there is unusual harmony, you can try it.